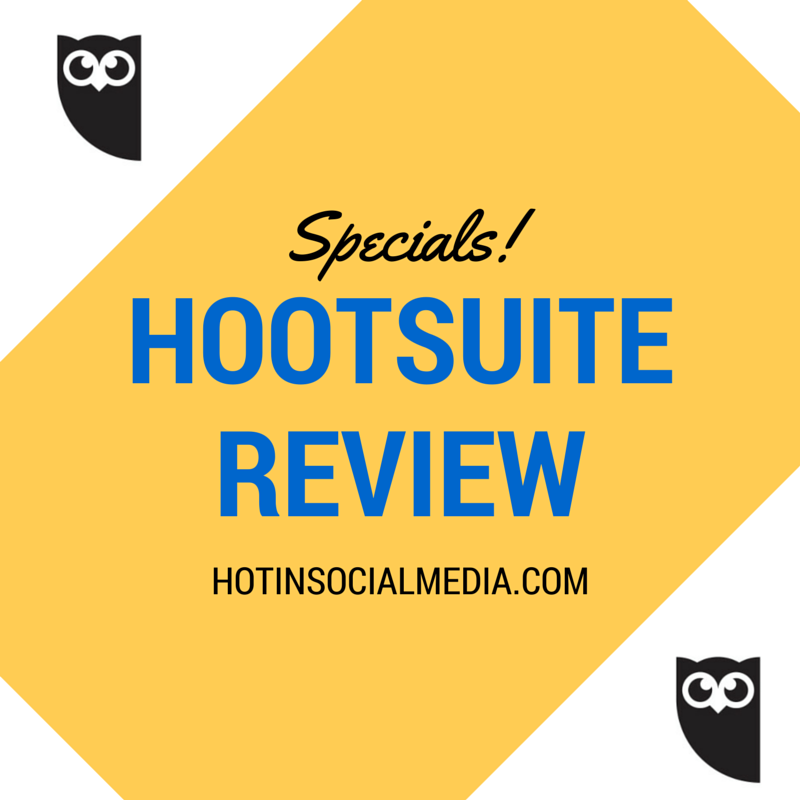 Hootsuite Review: The Best Social Media Management Tool? For those who are in the social media marketing industry, you probably came across Hootsuite and may even use it a couple of times. Hootsuite are serving thousands (and thousands) of customers a month and there are no two ways around this; they are really good at their job. But just like hundreds of marketers out there, you have budget constraint and you are definitely finding the all-in-one social media management tool. Disclaimer: I’m one of the Hootsuite Ambassadors in Asia and I’ll try my best to keep my point of view as neutral as possible; from the point of view of the end user – which is you. What do you need to know about Hootsuite? Before we start, it is important for you to know that Hootsuite comes with a free and premium plans. The free plan allows limited integration with social accounts and premium plans allows you to connect to up 50 social accounts at one time. The pricing structure starts as low as $9 per month and all the way up to higher plans for agencies and enterprise. For starters, Hootsuite is a social media management tool and therefore, you can / should be expecting it to outperform the majority of its competitors. Yes, the features are really massive and that’s just the icing on the cake. The true power of Hootsuite is when you really utilize it to the best of its ability. Hootsuite is used by dozens of businesses around the world such as Levi’s, eBay and Siemens (to name a few). *More on these as we proceed further down the article. Paying for $9 per month and able to manage up to 50 social accounts at one time? That’s a real social media beast. 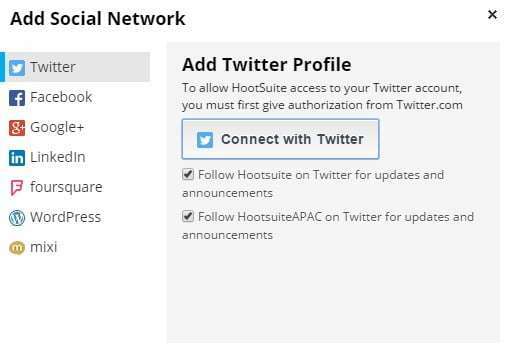 To manage a social media account with Hootsuite, click on your avatar and select ‘Add a Social Network’. This is how my Hootsuite dashboard looks like. Of course, you can see the multiple tabs I have specifically created to help (further) manage my social media marketing. What are Hootsuite tabs and how do you set them up? In short, Hootsuite tabs helps you to organize your content effectively. For example, you can setup multiple tabs for social listening, retweets only or specific accounts. The sky is really your only limit. Adding a Hootsuite tab is easy. Click on the ‘+’ button and complete by clicking on ‘Add Stream’. Note: You can rename the tab from ‘untitled’ for easier management. I name them according to usage such as Twitter specific, retweets and social listening. 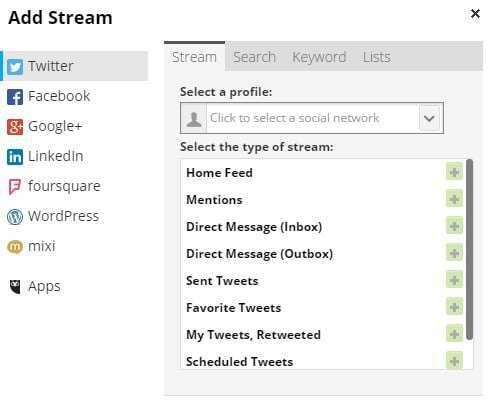 Each Hootsuite tab allows you to have 10 streams and each stream can consist of one specific task (image as above). It can be based on general social account stream, specific search, keywords only and monitoring your Twitter list. 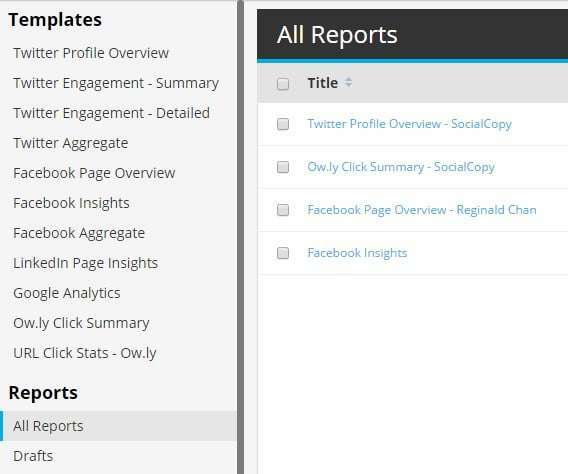 Hootsuite analytics reports aren’t the prettiest of all but they certainly get the job done. A paid Hootsuite user (Pro plan) would get 50 points per month. This point system allows you to generate reports (as many times as you want) for analysis. As you can see above, there are ready-made templates for you to choose from. You can also create your own customize report using report builder function. Hootsuite reports ranged from Free to as high as 75 points per piece. If you run out of points, you can either buy more points on a monthly basis (1 point = $1) or just delete the current reports and the points will automatically add back to your account. Publishing a post manually is awesome especially when you need to share an update in a timely matter (or time sensitive). Hootsuite location targeting is a feature for Twitter users only where you can share updates with your followers in specific locations. Hootsuite privacy setting is used for Facebook, LinkedIn and Google+ only where the update is only visible to people you have selected. 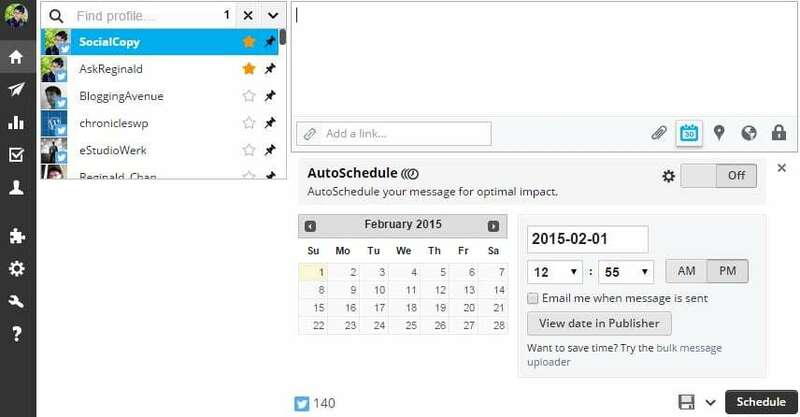 For me, automatic scheduling on Hootsuite is simple. It is all about auto scheduling and turning on social media automation. The first automatic scheduling can be done via Hootsuite dashboard or through Hootsuite mobile app. 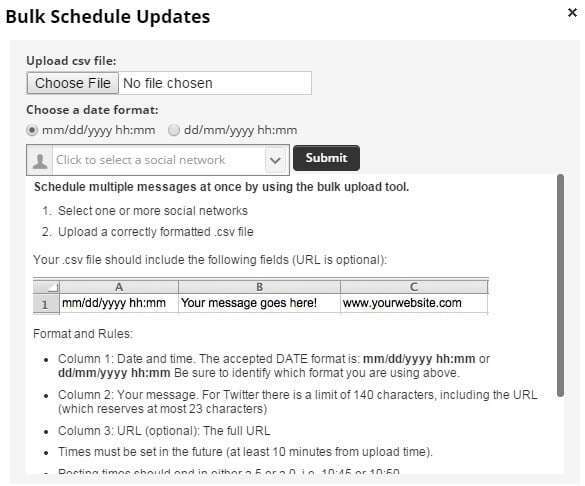 How does HootSuite auto schedule work? First, you need to setup the time duration for the auto posting to work and as well as the number of posts per day (done through Hootsuite settings found on the dashboard). Secondly, write a post and hit the auto schedule button. With that being said, the auto schedule feature will only work during that specific time you have set much earlier. If it has reached 10 posts, it will be scheduled on the next day. While Hootsuite did not disclose how the calculation works, it is said (quoted from the support team on the official forum) that it is based on the number of fans you have which are active at one particular time and the number of engagements you get for each update. You know I’m a huge fan of automation and bulk updates (you can also read my post on Bulk Buffer here). Thankfully, Hootsuite allows you to upload and schedule post ahead of time. As explaining HotoSuite bulk scheduling is extremely lengthy (could even do another post on this), I’m going to make this as short as possible. Basically, you need to download the sample template from Hootsuite which in an Excel form. As per the image above, that is the sample of the format. Once you have done updating the file, upload back to Hootsuite through the dashboard. It is advisable to leave the upload running (without refreshing the page) to ensure there is no duplicate etc. Links uploaded will automatically be shorten using Hootsuite standard URL shortener and it is also important to note that you are not able to upload images for posting in bulk. How to use Hootsuite for social listening? 1. Create a new tab on Hootsuite (you can name it as Twitter Chat). 2. Select Add Stream and head over to Keyword. 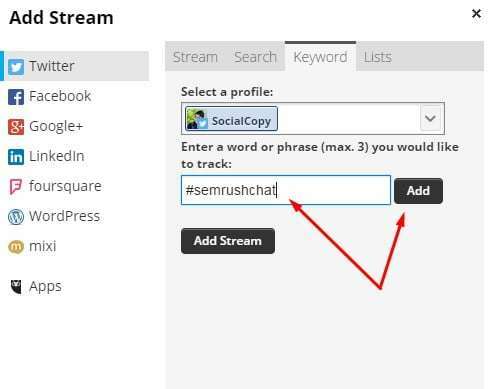 Place the Twitter Chat hashtag in the box provided (I use #semrushchat for example). 3. 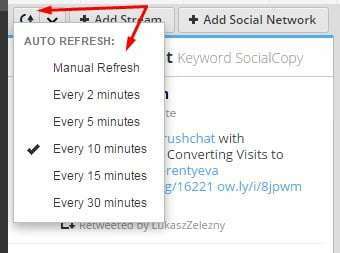 Set the refresh button to the preferred duration (if you are using Twitter Chat, I suggest refreshing every 2 minutes). Personally, Hootsuite is a powerful social media tool for both bloggers and businesses. The best part? Hootsuite is packed tons of features to make any social media manager smiling wide. Are you using Hootsuite? Leave a comment below and tell me what you think about it.